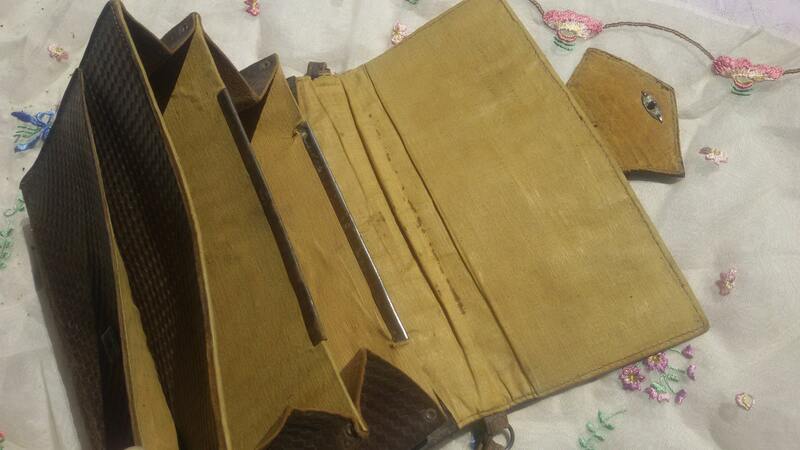 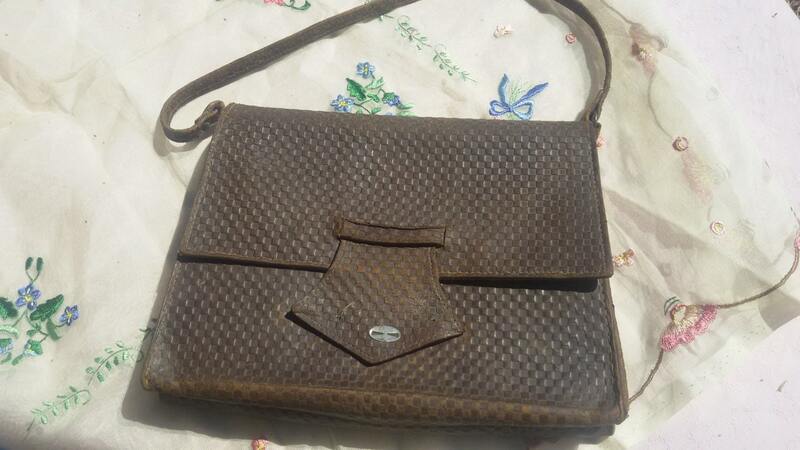 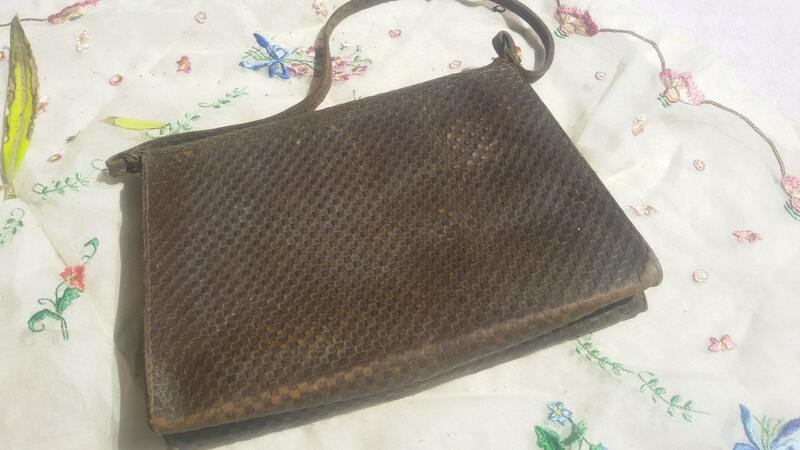 French Art Deco Brown Leather Purse . 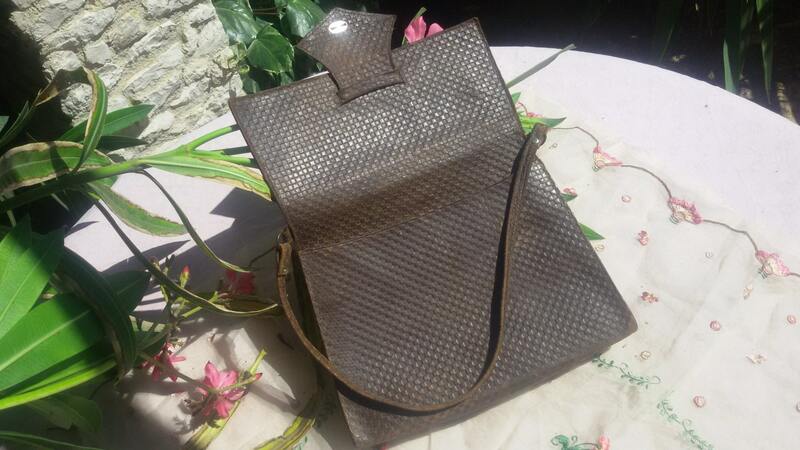 Original Checkered Tooled Leather handbag. 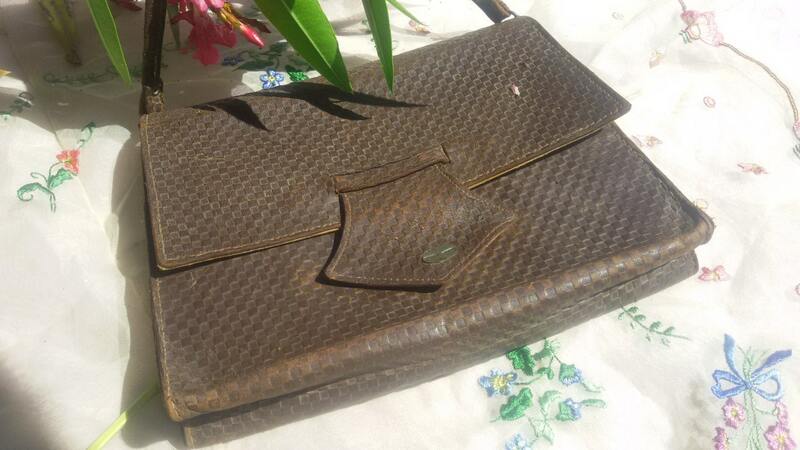 Very original Geometric leather design !